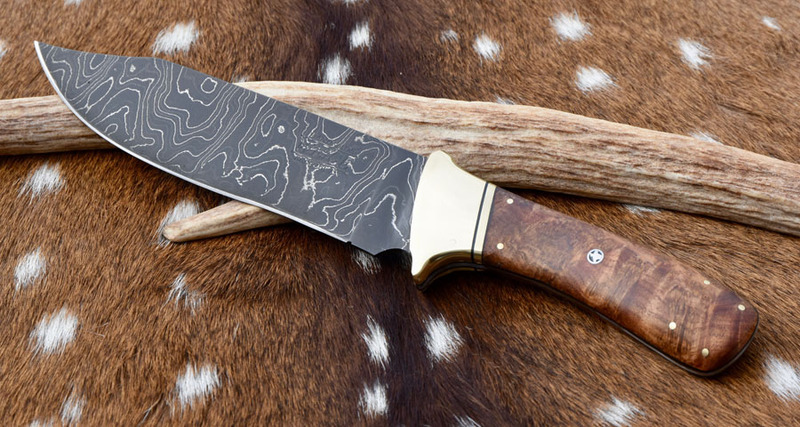 Home/Finished knives./Custom and cool slicer up for sale. 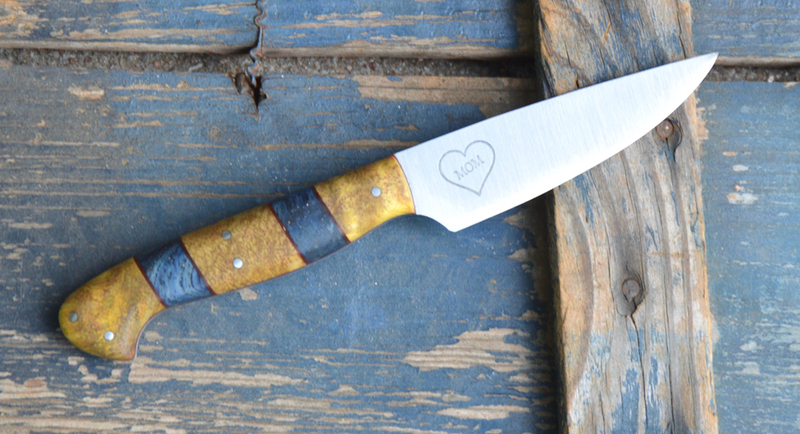 We finished up a really unique slicer w/ some killer materials. 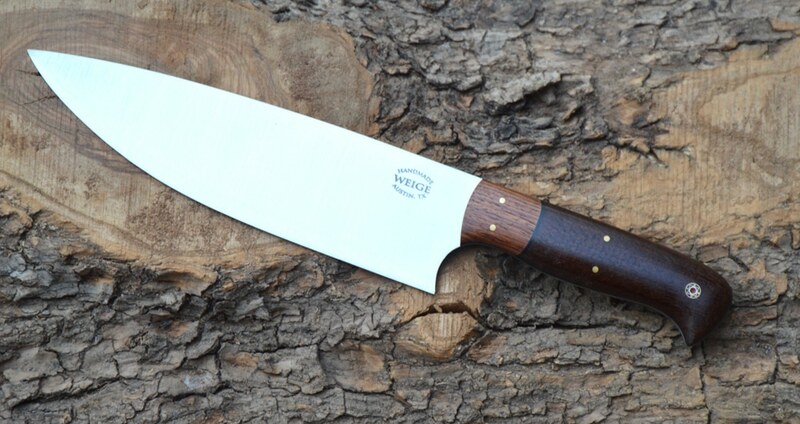 This custom slicing knife is 12″ overall w/ a 7.5″ blade in 440c stainless steel. The handle is made from exhibition grade, fiddle back Koa from Hawaii. 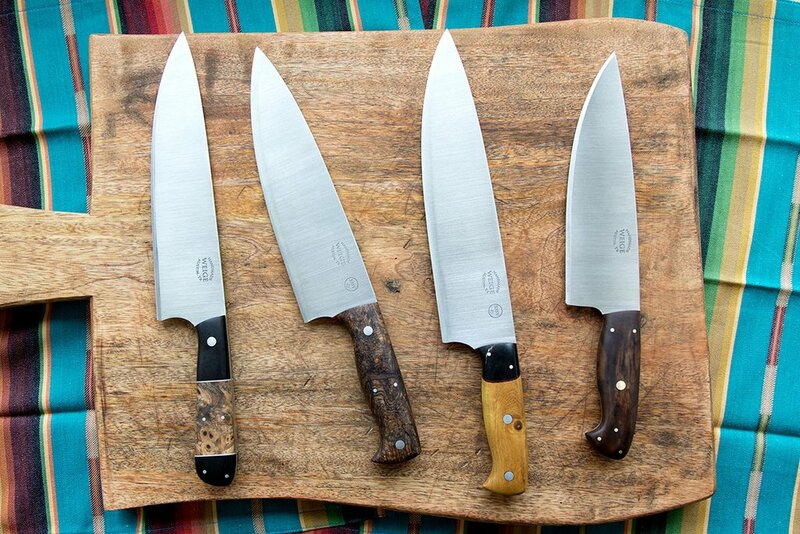 The bolsters are dovetailed and are made from exhibition grade, non-kill, water buffalo horn w/ honey tones. The liner is tan G10 and the pins are 3 moon, handmade mosaics in brass. Blade is super thin and light and razor sharp. Will be sad to see this one go.